Sammy - As you are reading this H and I are actually away on holiday, so what's on my desk right now is a virgin mojito, a book and some factor 30! 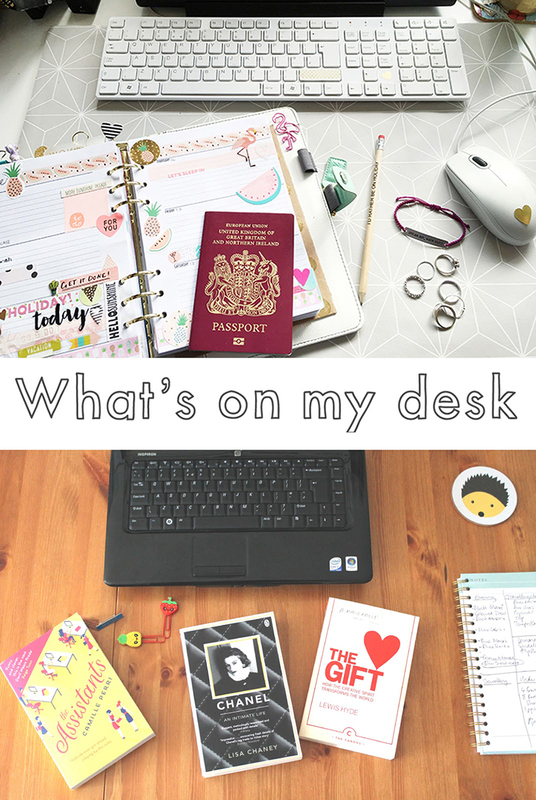 However before we jetted off to sunny Spain my desk was filled with planning for whilst I am away from work and all the things I need to do when I get back so I can leave my business and enjoy my holiday properly. I am leaving Sew Crafty in the very capable hands of Mum and Carly, I know they have it all under control! H - This past week has been so mad and so prepping for our holiday was hard work. We are currently away and so this picture was taken before we came away and so my desk is covered in the books I have bought with me and the huge list of things to do before I left, alongside a list for my packing! Lists everywhere! Does anyone else's lists just seem to get bigger just before they go away! I seem to never see the end of these lists these days!